The Place Located at the boundary between Kuta and Legian in Bali, the Hotel Pullman Bali Legian Beach is amongst one of the largest properties along Kuta Beach. With more than 350 rooms, and a quick under 30 minutes drive from Bali’s Ngurah Rai International Airport, the property is an oasis for first time Bali vacationers. Kuta is amongst the first district in Bali that enjoyed the tourism boom, with development moving slowly northwards over the years to Legian, Seminyak and now to Canggu. With a more established neighbourhood, you are just minutes drive away from popular shopping quarters including the Beachwalk Shopping Centre, Discovery Mall and Kuta Square. And if the traffic is good, it will take you less than 20 minutes to go from the hotel to any hot tables at Seminyak if the traffic is smooth. The Room We checked ourselves into the entry Deluxe Room with Garden View at the Hotel Pullman Bali Legian Beach. Located at level 3, you can access the rooftop infinity pool through the private balcony of the room. The spacious room may need some revamp, which we have seen in their other rooms in the property, although good maintenance has made this almost decade-old room a very comfortable stay. The Facilities Our favourite spot in the hotel is most definitely the rooftop infinity pool. Looking out to the Indian Ocean, the swimming pool is the perfect spot for you to catch the sunset across Kuta Beach every evening. Order one of their coconut drink while at the pool, and as with many Accor’s properties, the property’s logo is carved onto the face of the coconut. During noon, with the sun shining glaringly, just head down to the swimming pool at first level nestled amongst the gardens for some shade. Alternatively, you can head over to the Pullman Fitness Lounge for some work-out. With ample natural light, the gym does motivate our lazy bones. Otherwise, book an appointment with the property’s Tjakra-7 Spa. Arrive early, and you will be able to enjoy the heated jacuzzi prior to your treatment. With the spa opening till 10pm, you can book your treatments after dinner hours too, and pamper yourself before a good night rest back at your room. Do remember to ask for the discount vouchers from the check-in counters, as we enjoyed hotel’s guest discounts at the spa. The Restaurants Currently with only one restaurant, The Deli is an all-day dining concept, from the guests’ breakfast to its daily dinner specials. Do check out the dinner schedule, where the restaurant will extend to the gardens of the hotel and you get to dine amid the fairy lights. The Deli also introduced a new menu recently with a focus on food produced locally through sustainable farming in Bali. Expect a rather clean, yet enjoyable meal here. Rants There is only a two lane one way traffic to the hotel’s main entrance and be prepared to be stuck in some degree of traffic during peak hours. Overall Experience The property is very well located, with travelling time between the hotel to major tourist attractions and the airport all under an hour. 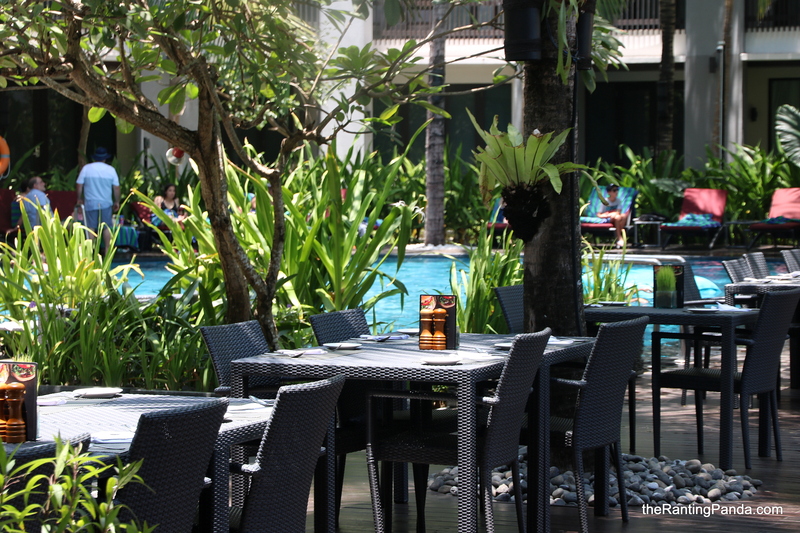 And while back at the property, guests get to enjoy an oasis amidst the ever-busy Kuta streets. Should all the rooms be given a refurbishment, it will definitely be amongst one of the ideal hotels in the Kuta/Legian districts of Bali. For more information, do check out Hotel Pullman Bali Legain Beach Website.